You guys know I love my nail effects, I can't believe it's taken me the entire of Spring AND Summer to find such a gorgeous shade! In Spring 2013 OPI released their limited edition Mariah Carey collection of Liquid Sand Lacquer But it's taken me this long to finally see them on my high street! Gorgeous aren't they? They're supposed to be worn without a top coat for a stunning matte finish, but give a beautiful shimmery nails if you use one. 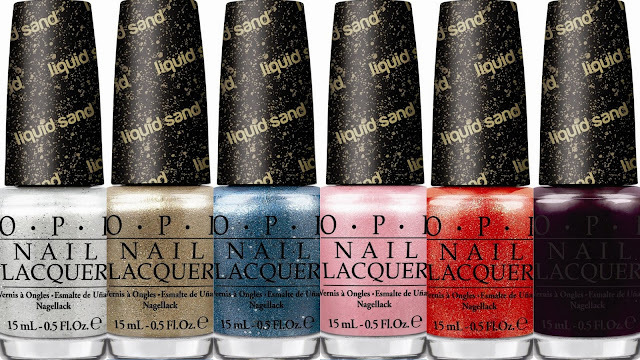 My favorites are Got Your Number (blue) and The Impossible (red) - I just can't wait to get my hands on them! Even though they're a little summery for this time of year I could pull off a Can't Let Go (violet) or Stay the Night (black) right? Which polish would you pick for your wishlist?